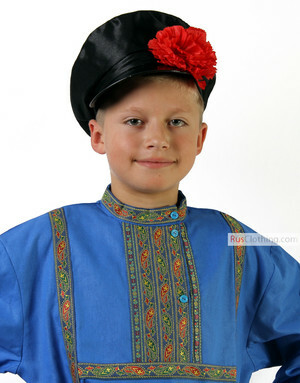 This folk dress is designed in best Russian traditions of folk shirts and dresses decorated with ornamental prints. Floral and geometric ornaments were meant to protect a woman against the evil spirit. 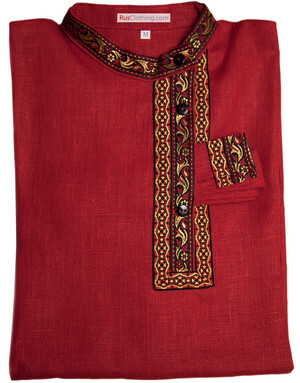 Classical folk linen dress is perfect for summer vacation time. Such dresses also fit great to special national ocassions and holidays. 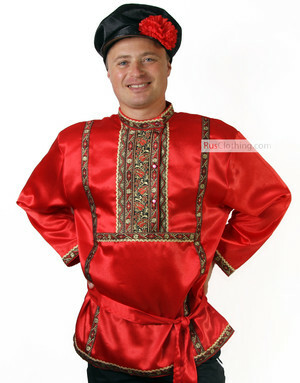 Traditional Russian dresses are in high demand for theatre perfomances.